Chardonnay here, with a small proportion of grechetto. 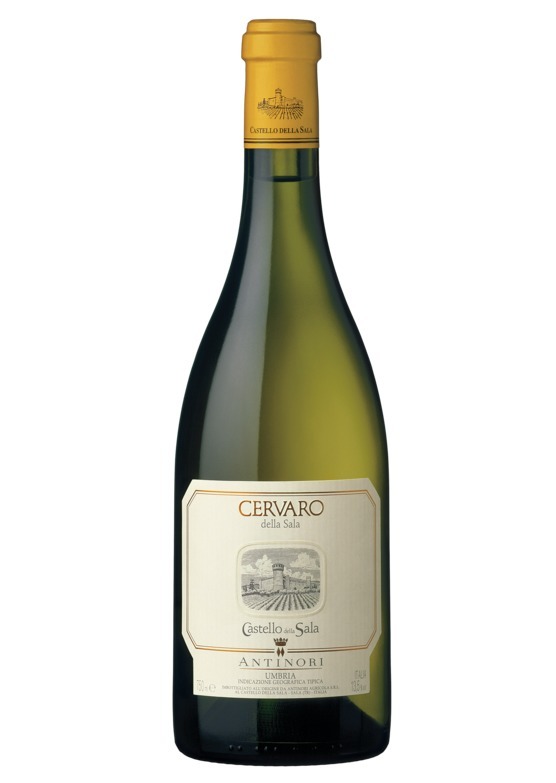 Antinori's Cervaro is undoubtedly one of Italy's finest whites, and a Burgundian style chardonnay of impressive pedigree. Pronounced notes of citrus fruit, pears and acacia with a fine streak of minerality. Fermentation in barrel adds sweet spice and toasty notes with a classic hint of hazelnut butter on the palate.